"Before" shot for this kitchen. This was to the right of the After shot and was the entire kitchen. We pushed into the eating nook and removed walls to expand the kitchen. 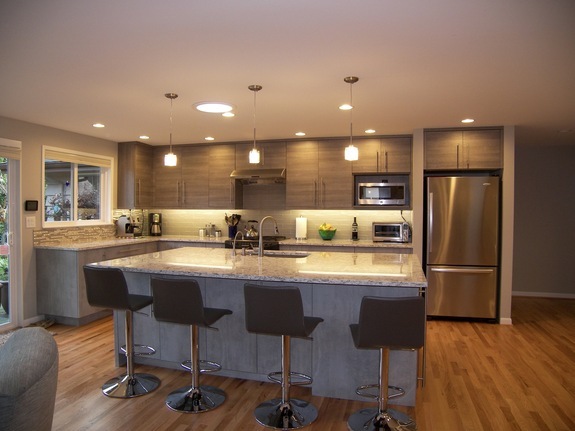 The clean lines and modern feel of the kitchen makes this space updated and inviting. Warm Gray tones and texture of the different cabinet finishes keep it interesting. 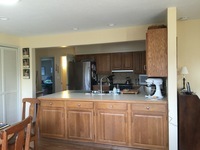 This Kitchen was another great one to open up from the old to the new by removing a wall separating the areas. Now it's open and fresh with a modern clean line look. 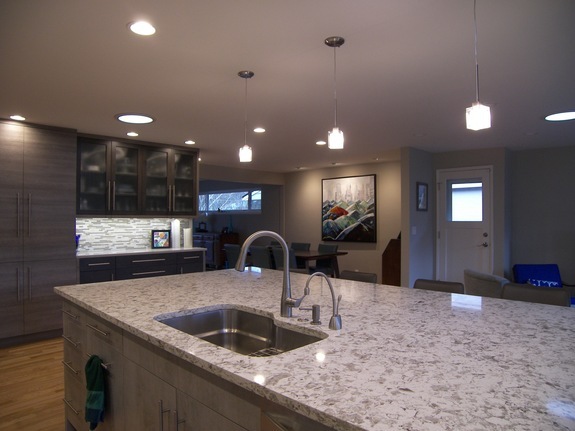 Quartz Counter Tops and Three Different Cabinet Finishes gives this kitchen an interesting modern look. Where the Buffet wall is currently was the back wall of the old kitchen.